In the marble museum, the origin, quarrying, manufacturing and transport of this marble is documented. Diverse types of marble, fossils and the use of this valuable stone in Roman edifices and monuments of our time are explained with illustrations. The museum presents the multi-colored types of Adnet marble in their diverse ways of processing, as, for example, marble balls, bowls / plates and vases. Moreover, we exhibit numerous fossils found on-site as well as unique geological finds. Archeological finds from Adnet, as well as utensils of stone-masons and quarry laborers vividly show the history of our community. Original Roman and medieval work-pieces, components of monuments, models, reconstructions and wall-fountains complete the documentation. The marble museum was founded in 1992 and entirely redesigned in 2010. Thereby, it was relocated into the new community hall of Adnet. It comprises showrooms of about 100 square meters and a charming museum garden. 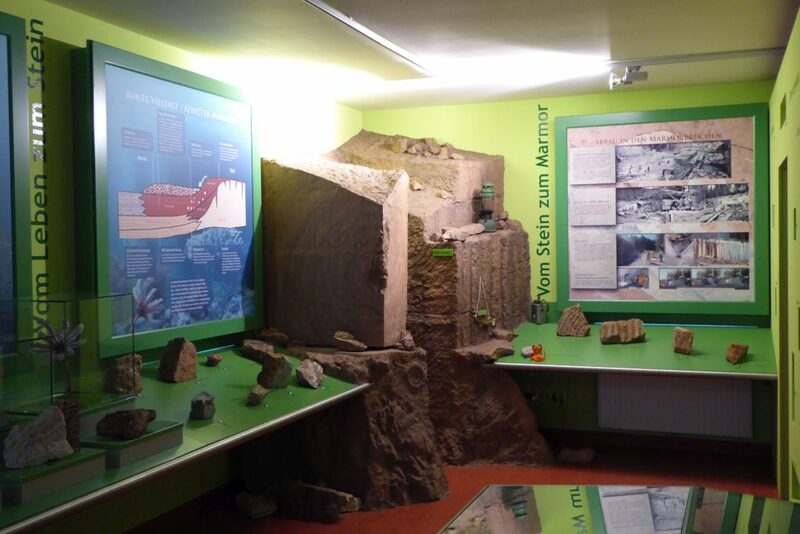 The museum is also the starting point for guided tours along the Marmorweg (Marble Trail), which leads through the Adnet marble quarries and past the smithy-museum, which may of course also be visited. 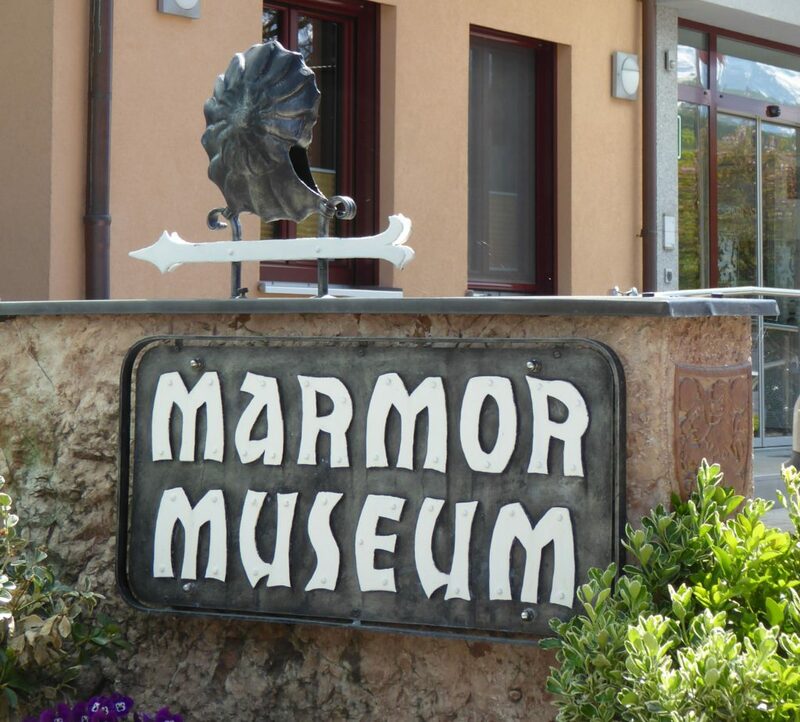 In October 2014, the marble museum was awarded the Austrian Museum Quality Seal.